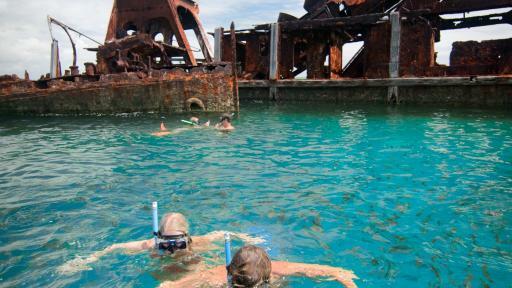 Cross the Moreton Bay Marine Park on the sea ferry spotting dolphins, turtles and dugongs before arrive on the island and strolling through the forest to the fresh waters of Blue Lagoon. 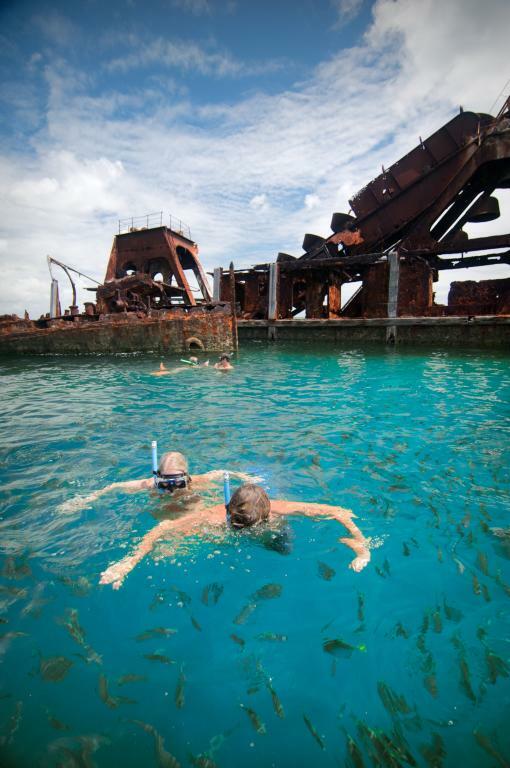 Snorkel, swim and take photos to your heart's content before experiencing the breathtaking beauty of the Tangalooma Wrecks artificial reefs. Step up the adventure with a fun filled morning of sand boarding and enjoy the spectacular views from Mount Tempest, the world's highest sand hill. You'll also visit the eelgrass fields of the southern wetlands and understand the significance of ancient Aboriginal campfire areas and midden sites. Day 1: Departing Brisbane you'll travel to Moreton Island via sea ferry, crossing the Moreton Bay Marine Park to disembark on the pristine beaches on Moreton Island. 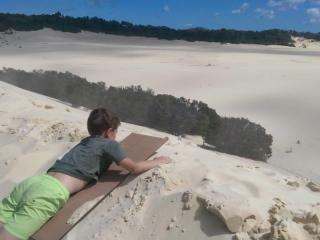 A 4WD will then take you to a remote surf beach before you stroll through the forest to Blue Lagoon. 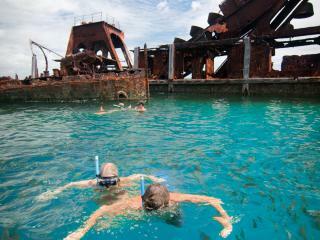 Here you'll enjoy snorkelling, swimming and plenty of photo opportunities as well as cold drinks and a picnic lunch. 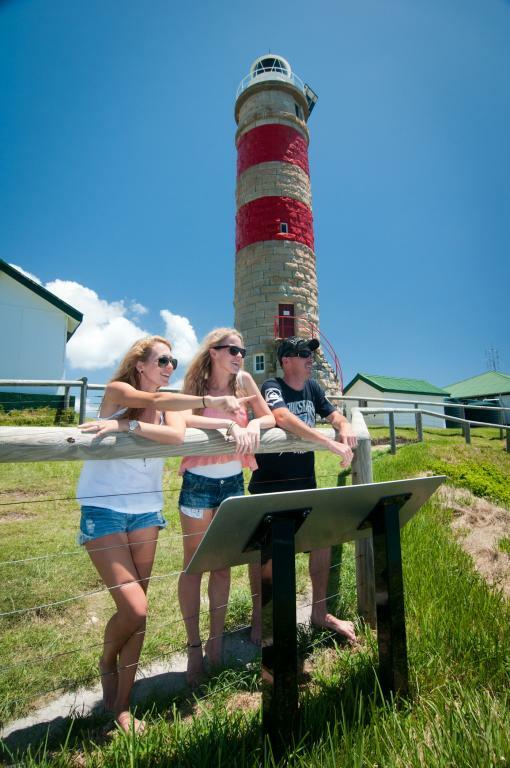 It's then onto the Cape Moreton Lighthouse to spot the turtles, dolphins, sharks and even whales before wrapping up the day with a visit to Honeymoon Bay and the Champagne Pools. You'll then return for dinner around the campfire. 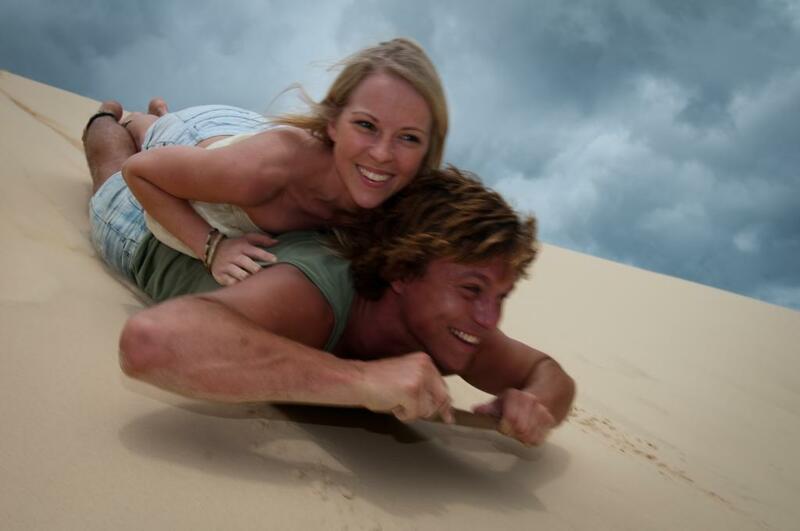 Day 2: 4WDing along the beach you'll head for the sand hills to enjoy a fun morning of sand boarding adventure with all equipment supplied. Morning tea is served before continuing onto the iconic Tangalooma Shipwrecks where you'll enjoy the opportunity to swim and snorkel among tropical fish before your picnic lunch is served. 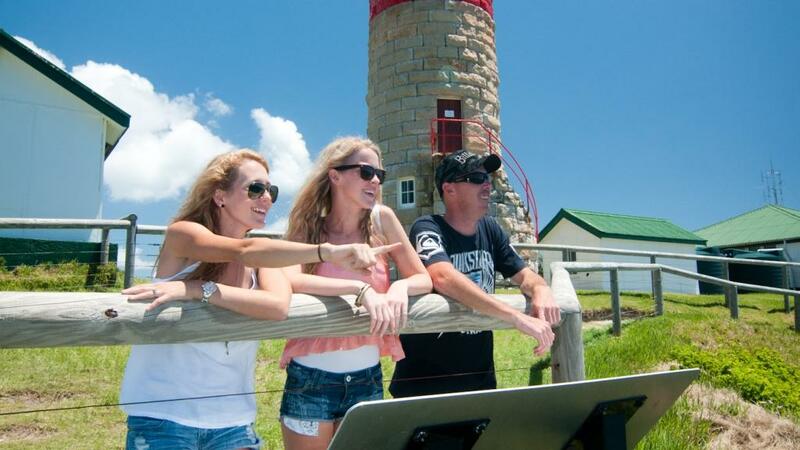 Your afternoon is free to look out over the Marine Park, relax on the beach or spend as you wish before the final 20km beach drive to the Bulwer Shipwrecks and ferry. Once again you'll retire for the night with dinner server around the campfire. Day 3: Taking a packed picnic lunch you're prepared for the day beginning with a beach drive to the world's largest sand hill, Mount Tempest. 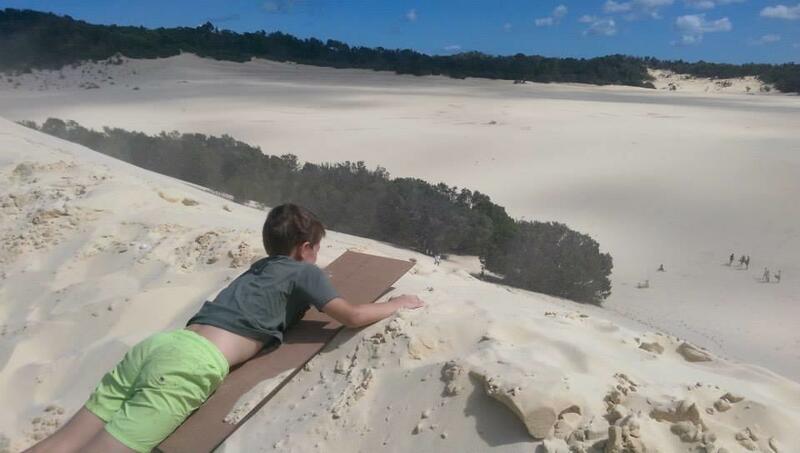 Enjoy the views from Moreton's spectacular range of sand hills before making your way to the eelgrass fields of the southern wetlands by 4WD. Here you can see all the wading birds as they migrate as well as the protected bird rookeries. 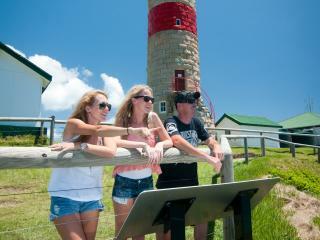 Your eco guide is also on hand to explain the significance of the ancient Aboriginal midden sites and campfire areas. This is also the ideal time to try out some traditional island tucker including fresh sea clams.